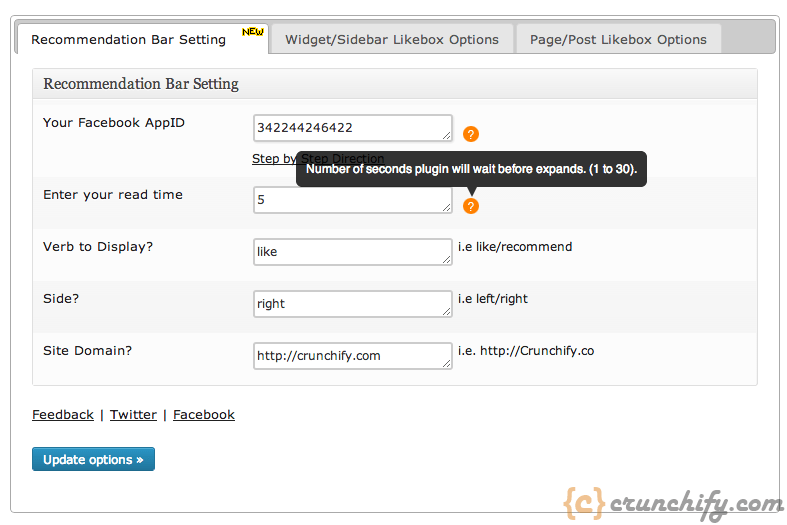 With popular user demands I’ve just added Facebook Recommendation Bar Plugin to Facebook Members WordPress Plugin. The Recommendations Bar allows users to like content, get recommendations, and share what they’re reading with their friends. The Recommendations Bar is always docked to the lower right (or left) of the screen. When the page loads the Recommendations bar will be collapsed and the user will have the option to ‘like’ your page. As the user nears the end of your page, the plugin will expand. The expanded view will show the user a social recommendation of the next article to read on your site. Currently you will see Recommendation Bar active only on Single Post and Page. Please make sure you enter above parameters correctly. Just enter above parameters and you should be good to go. I love the Widget part of this plugin, but I’m not liking the recommendation bar… how can I remove it? You can achieve this by leaving FB AppID field empty. Let me know for any issue.